Note: This listing reflects changes made by the web staff, and does not necessarily list changes made by the individual departments to their sites. Added a page and banner ad for the Section 8 Waiting List Opening Until May 3rd. Added a banner ad, headline and page for the Rabies Clinic on April 13th at the Animal Shelter from 8:00 a.m. to 5:00 p.m. Rabies shots are $5.00 each. Added the 2019 System Development Fee Study for Public Utilities. Updated the Section 8 Waiting List for HAPP. Updated the links for the Town of Archer Lodge website. 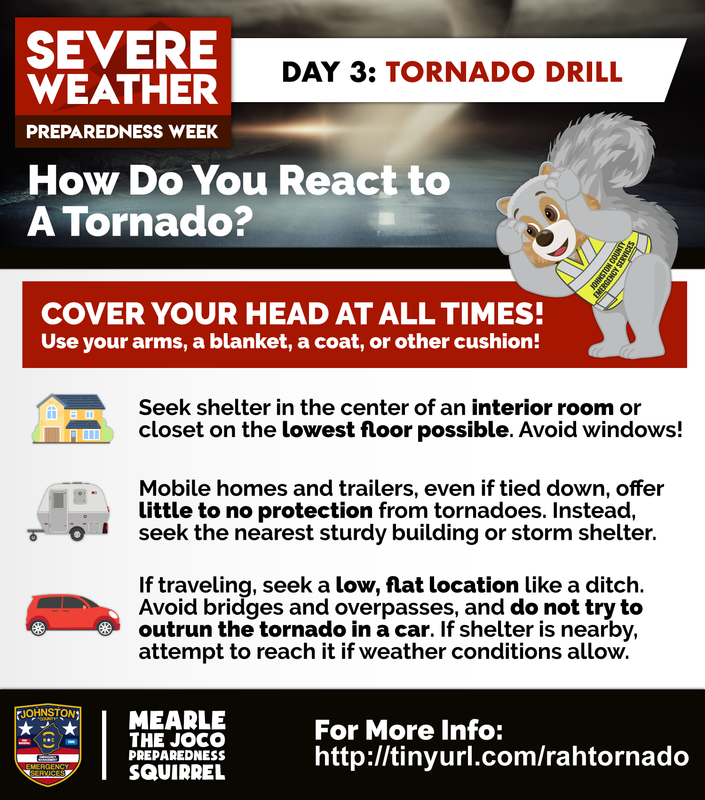 Daylight Savings Time Begins Sunday, March 10th at 2:00 a.m.
Added a page for the NC Annual Statewide Tornado Drill Today, March 6th, at 9:30 a.m.
Added information regarding the Household Hazardous Waste Event on April 27, 2019 at 8:00 a.m. to 1:00 p.m. at the County Livestock Arena. Added a page and headline for the Register of Deeds Free Community Shred Event on April 6th from 10 am to 1 pm. Added the new website for Department of Social Services. Added a headline and banner ad for the Black History Exhibit Opening on February 9th. Added the New website for Emergency Services. Added the press release: FEMA Disaster Assistance Deadline Extended. Added the Winter 2018 HAPP Newsletter for Landlords. Updated the photo of the Board of Commissioners on the home page. Added the press release: County Offices will Open at 9:00 a.m. Tuesday, December 11, 2018 due to Winter Weather. Made the new Soil and Water Conservation website live. Updated the Johnston County Officials page for Board of Elections. Added the 2019 Tax Revaluation Information to the Tax website and the County Home page. Added the Press Release: EMS Division Receives Highest National Award for Cardiac Care for the Second Consecutive Year. Posted the Election Results for the November 6, 2018 General Election. Added a page and banner ad for the Veterans Day Celebration on November 12th at 11:00 a.m. at Smithfield-Selma High School. Added the banner ad: Don't Forget to Vote on November 6th! Added a banner ad and headline for the Holiday Hours for the Landfill and Convenience Centers for Public Utilities. Add a page, headline and banner ad for the 2018 DSS Angel Tree Project. Make a child happy this holiday season, participate in the Angel Tree project. Added a headline and banner ad for the Annual Ghost Walk on October 25th from 6:30-8:30 pm at the Riverside Cemetery in Smithfield. Automated the Press Releases listing page. Updated the Contact Us page. Added a flyer for the 2020 Census jobs. Apply Now! Added a page for Information about Hurricane Florence. Added the Clear the Shelter Event on Saturday, August 18th. Adoption fees waived at participating shelters. Added the Press Release: The Johnston County Landfill and Solid Waste Convenience Centers will be closed on Wednesday, July 4th in observance of the Independence Day holiday.